This is the "Om" symbol....I was gonna explain what it is and where it came from, but after a few minutes on Wikipedia, I changed my mind. 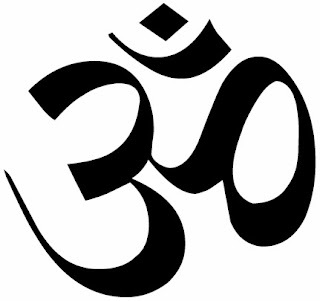 So if your curious, ...Wikipedia "Om". Finished product, built up weld, sanded flat. Finished nicely with rust-patina and hand rubbed wax topped with clear coat. Very nice design; I know it's fiddly, but that's a cool piece.